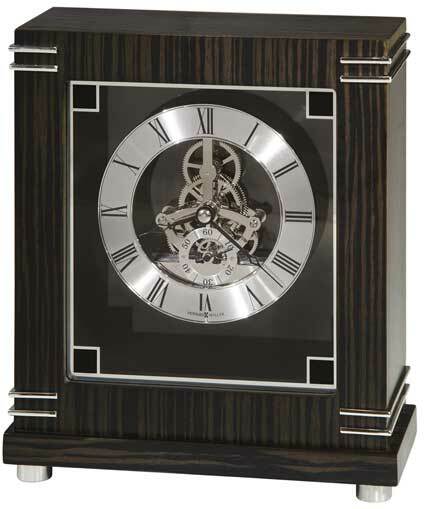 The Howard Miller Batavia 635-177 is a handsome Macassar Ebony finished mantel clock. Modern, contemporary styling can accent both home or office decor. 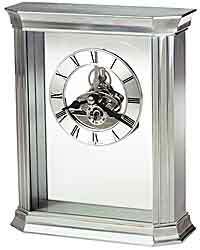 This clock has an "open gear movement" which exposes the silvertone and chrome plated gears with silver finished accents on the case. Brushed silver dial with black Roman numerals surrounding the polished silver finished skeleton movement. 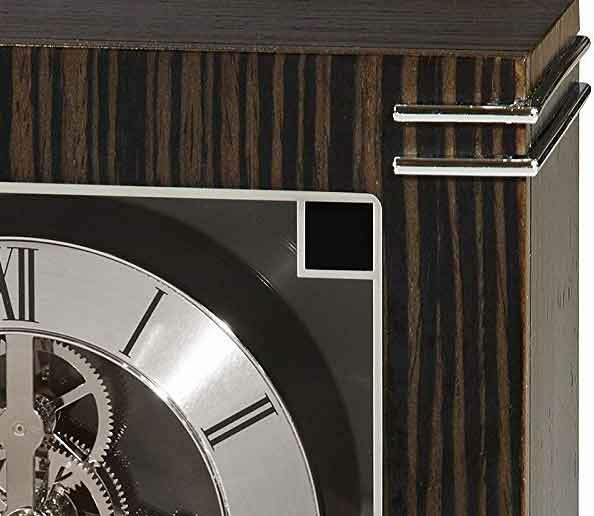 There is a separate second hand complication in the dial above the 6:00 position on the chapter ring. 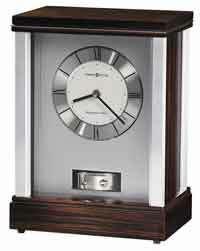 Accurate Quartz battery-operated Non-Chiming movement requires one AA battery. 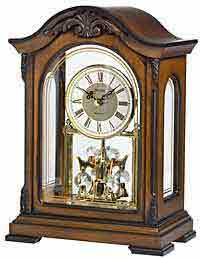 Clocks for sale at The Clock Depot including the 635-177 at discount prices.